Sue Lawley's castaway is cellist Anita Lasker-Wallfisch. 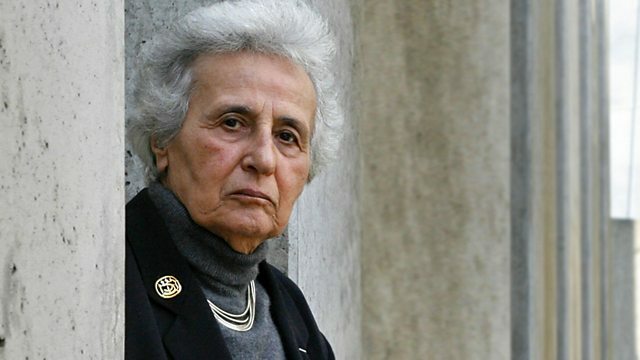 The castaway in Desert Island Discs this week is the cellist Anita Lasker-Wallfisch. One of the most distinguished members of the English Chamber Orchestra, she has toured all over the world with them. However, as she will be telling Sue Lawley, up until the early 1980s, she always refused to visit one country - Germany. For it was from there that her Jewish parents were taken away by the Gestapo, never to be seen again. From the age of 18, she herself was taken away to Auschwitz. There, because she was able to play the cello, she survived, and played in the camp's orchestra. However, when she was later moved to Belsen, she nearly didn't. She'll be talking about playing in the orchestra at Auschwitz, about the importance of music in sustaining life both then and now, and about her feelings towards Germany and the Germans more than 50 years after the events of her early life. J.S. Bach - Matthaus Passion. Young Person's Guide To The Orchestra. Schumann: Concertos For Cello And Piano.